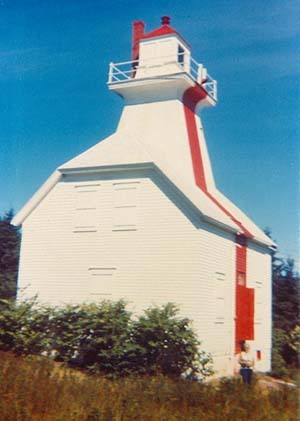 The lighthouse was automated in 1959. It was torn down in 1973. 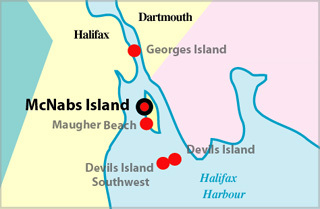 McNabs Island Lighthouse in the 1940`s. A Lost Lighthouse. 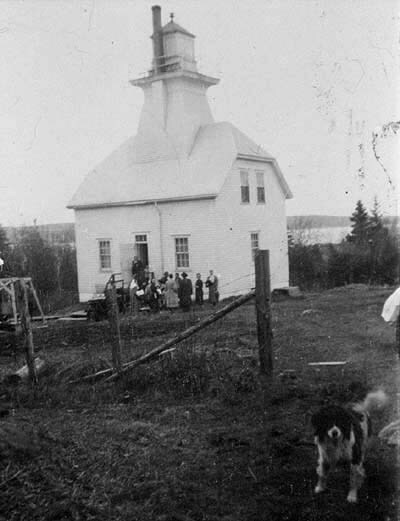 Colin Cleveland, Joan McGregor`s father, was the lightkeeper when this phtot was taken. Tower Height: 049ft feet high. Light Height: 132ft feet above water level.